Photo from "Henoko hama tsushin" blog. 14 US tanks landed on Henoko beach on the early morning of January 27. Dogongs move around in the reef at night, so landing before dawn poses great danger to them, according to the blog. On January 28, the Japanese Ministry of Defense filed a complaint against Nago City for their refusal to allow them to conduct a survey on the inhabitation of animals and plants off the coast of Henoko, Nago, on the basis of the Administrative Appeal Act. Nago's mayor Inamine Susumu has made his position clear that he opposes the US/Japan plan to build a new Marine base in place of Futenma Air Station over the cape of Henoko. Inamine disallowed such survey because it would be done on the premise that a new base would be built. Ryukyu Shimpo expects that if Inamine dismisses this complaint, the Ministry of Defense may file an administrative lawsuit against Inamine. 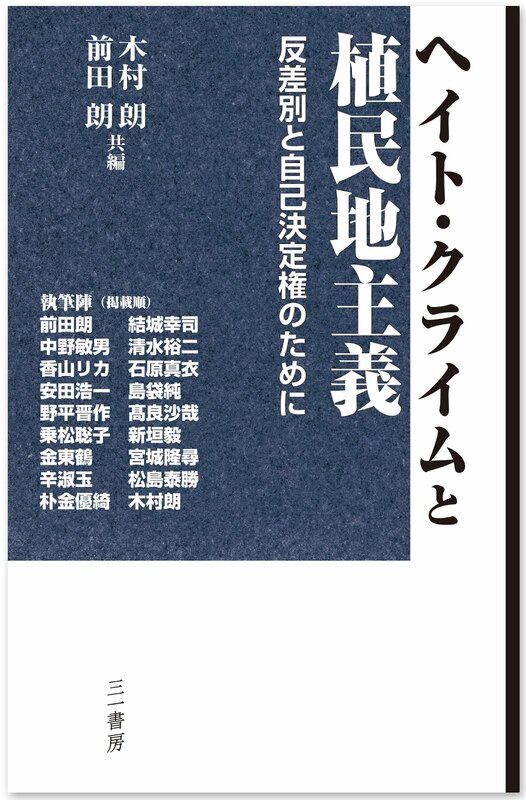 According to Nakachi Hiroshi, professor (administrative law) of the University of Ryukyus, the intent of the Administrative Appeal Act was to provide an opportunity for ordinary citizens to complain against deeds of administrative entities, and should not be applied to the state. Nakachi wonders if this is a political performance by the central government to indicate that they are making efforts to build a base despite the local opposition, but such performance should bring no political benefits to the government, Nakachi says. Nago will probably dismiss the complaint, and in that case, it is unknown whether the state will file a lawsuit against them. 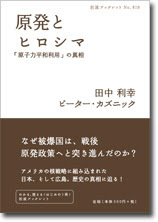 If they do, it will be reminiscent of the 1995 lawsuit by then Prime Minister Murayama Tomiichi against then Governor of Okinawa Ota Masahide, who refused to sign the contract to renew land lease for US military use, after hundreds of Okinawan military landowners refused to sign and their municipal leaders refused to sign on their behalf. Okinawa's Governor Nakaima Hirokazu avoided stating a clear opinion on this issue. Nakaima won the election on the platform that he would call for Futenma Air Station to be moved outside the prefecture, but he failed to clearly express his opposition to the plan to build a replacement base in Henoko. With Nago and the state at the stalemate, Nakaima will have to make his position clear, sooner or later. ﻿Four years after the September 2006 historic ruling that forcing the national anthem kimigayo and the flag hinomaru at school was unconstitutional, it was overturned on January 28, at Tokyo High Court. Teachers in Tokyo were rejected their right to sit (i.e. refuse to stand) for forty seconds when the national anthem kimigayo is being played at school ceremonies in order to express their disagreement with the anthem that they argue is a symbol of Japanese imperialism and militarism during the war. Many teachers in Japan, especially in Tokyo where nationalist governor Ishihara Shintaro issued a specific directive to coerce the national anthem and flag, have been unfairly reprimanded with measures such as pay cut, job suspension, and cancellation of re-hiring after retirement. The plaintiffs are determined to appeal to the Supreme Court. 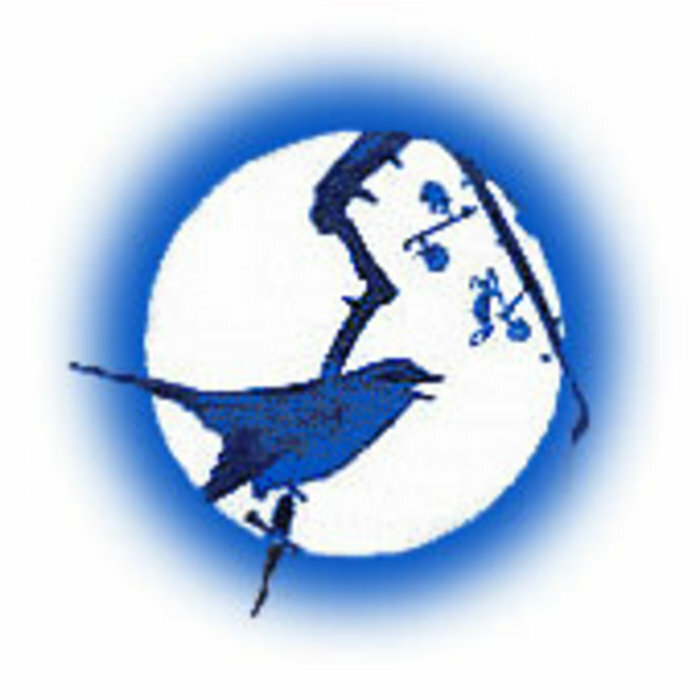 See the following past posts on this blog for history and overview of the Japanese teachers resistance against coercion of nationalistic symbols at school. See below for the news (English and Japanese) of January 28 Tokyo Court judgment. TOKYO (Kyodo) -- The Tokyo High Court on Friday declared constitutional that the metropolitan government and its board of education required teachers and school clerks to stand during the hoisting of the Hinomaru national flag and the singing of the "Kimigayo" national anthem at school events, reversing a lower court decision that ruled the opposite. A three-judge panel led by Presiding Judge Hiromu Tsuzuki acted on an appeal against the 2006 decision by the Tokyo District Court that declared unconstitutional the Tokyo government authorities taking disciplinary action against those who refused to stand and sing the song. In the decision, Judge Tsuzuki called "reasonable" an instruction by the head of the metropolitan government's education office to require teachers and clerks to stand during the hoisting of the Hinomaru flag and sing the "Kimigayo" anthem at enrollment and commencement ceremonies at schools. The instruction does not represent any infringement of the Constitution that stipulates "freedom of thought and conscience shall not be violated," the judge said. It also does not represent an act of unjust governance in education banned by the basic education law, the panel said. The high court also said the Hinomaru and "Kimigayo" had long been established as Japan's national flag and anthem as a customary law even before the national flag and anthem law was enacted in 1999. Judge Kazuo Miwa read out the decision on behalf of Judge Tsuzuki who has retired. The Hinomaru flag and "Kimigayo" had long been regarded as Japan's national flag and anthem without any legal base. But in 1999, the Diet enacted a law officially designating the Hinomaru as Japan's national flag and "Kimigayo" as its national anthem. According to the Cabinet Office, Hinomaru is translated as the rising sun flag. "Kimigayo" is unofficially translated as his majesty's reign. Some people in Japan are opposed to the national flag and anthem because of memories of their links with Japan's militaristic past. The plaintiffs in the suit are 395 teachers, clerks and retirees at high schools and special schools for physically handicapped people run by the Tokyo metropolitan government. The plaintiffs plan to file an appeal with the Supreme Court against Friday's high court decision, their lawyers said. The plaintiffs in the suit sought a court order to confirm that they are not obliged to stand during the hoisting of the flag and sing the anthem at school events. They also sought damages from the defendants. On Sept. 21, 2006, the Tokyo District Court ruled "unconstitutional" and "unlawful" the instruction by metropolitan authorities to require teachers and clerks to stand and sing the anthem. The lower court accepted the plaintiffs' argument that they are not obliged to follow the instruction, banning the metropolitan authorities from taking disciplinary action against them. It also ordered the metropolitan government to pay 30,000 yen in damages to each plaintiff. The metropolitan government and the education board filed an appeal with the high court. Court findings show that the metropolitan government's education office circulated an instruction in October 2003 to school principals urging them to make teachers and clerks stand during the hoisting of the flag and sing the anthem. The metropolitan education office took disciplinary action against those who refused to do so. 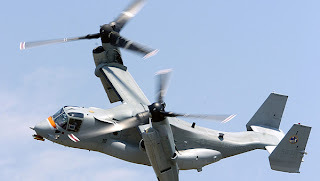 Okinawan newspapers on January 27 reported that the residents of Brewton, Alabama complained about the noise caused by the V-22 Osprey used in the US Air Force training mission at their municipal airport, and the Air Force offered apology and told the local airport authority that the squadron will not come back. “Those aircraft are extremely noisy with an horrific racket," the airport director is quoted in the local news (see below). It is disturbing news for Okinawa, as USMC is planning to deploy Ospreys in Henoko and Takae, two places in Northern Okinawa where military expansion is planned despite the opposition from local residents. Okinawans are worried, not just about their noise, but about the reported risk of accidents by Ospreys. A recent Pentagon report (below) also indicated the continuing unreliability of the aircraft due to "cracking or prematurely failing hinges and access doors, engine and drive components within the nacelle structure, flight control system failures, wiring and swashplate actuators." The aircraft killed thirty people during the course of development, and killed four in a crash in Afghanistan in April 2010. In late December, a US helicopter hovered over and damaged the protesters' tent in Takae, where US/Japan are planning to build six new helipads (Osprey-capable) surrounding a residential area, but the authorities have not even confirmed that it was a US Marine helicopter that did it. It is unacceptable that a plan to use noisy and dangerous aircraft like V-22 Osprey is not properly disclosed to local residents and there has been no assessment of risks associated with Ospreys in the environmental assessments on both places. Jan. 12 (Bloomberg) -- The V-22 tilt-rotor Osprey, five years after it was cleared for full-production, remains dogged by unreliable parts that reduce its availability for missions, according to the Pentagon’s top tester. The Textron Inc. and Boeing Co. V-22, in its most recent testing to evaluate upgrades, was available only 57 percent of the time it was required to fly, rather than the specification of 82 percent, according to a new report by Michael Gilmore, the Pentagon’s director of operational test and evaluation. The testing took place between May and July 2009. “Major contributors to this low mission capable rate included cracking or prematurely failing hinges and access doors, engine and drive components within the nacelle structure, flight control system failures, wiring and swashplate actuators,” which help the main rotors turn, the report said. “Mission-capable rate” is a standard standard metric for aircraft combat reliability. Gilmore assessed that when the aircraft was flying it “met or exceeded” all but one reliability and maintenance requirement. The aircraft “demonstrated effectiveness in a wide range of approved high-altitude scenarios reflecting current Marines Corps operations,” wrote Gilmore, in a section on the V-22 in the annual report from the testing unit issued today. The Pentagon test office and U.S. Government Accountability Office have consistently highlighted problems with V-22 parts since 2000. The V-22 is a fixed-wing plane with rotors that tilt so it can take off and land like a helicopter. Bell Helicopter Textron spokesman William Schroeder and Naval Air Systems Command spokesman Victor Chen had no immediate comment on the test report because they had not seen it. Gilmore recommended that the Marines and Air Force, which is buying a version for to fly U.S. commandos, “aggressively continue integrated development and testing” to improve the aircraft’s braking system, engine and drive-train reliability. The V-22 has been deployed to Iraq and is in Afghanistan, where it transported Defense Secretary Robert Gates during a March 2010 trip. Congress through fiscal 2010 has approved spending $32 billion on the $52.8 billion program. The Navy plans to spend $20 billion more on upgrades and the purchase of the remaining planes in the 458-aircraft program for the Marine Corps and Air Force Special Operations Command. The program was approved for full-production in September 2005 after four years of additional development to demonstrate it overcame a host of deficiencies, including problems with its design, safety and reliability uncovered after two crashes in 2000 killed 23 Marines. During three periods studied during the V-22’s deployment from October 2007 through April 2009, the planes were available for combat operations on average 68 percent, 57 percent and 61 percent of the time, “while the minimum requirement” is 82 percent, said the GAO. These low rates “were not unique to the Iraq deployment” and were on par with other V-22 squadrons in the U.S., the GAO said. The crew from “Unsolved Mysteries” won’t be coming to Brewton to investigate strange rumblings heard across the area Wednesday night. Brewton Municipal Airport Director Earl Lambert said the noises heard throughout the area can be attributed to the massive V22 Osprey — a twin rotor helicopter/airplane owned by the military. Hurlburt Field, located near Fort Walton Beach, Fla., is home to the Airforce Special Operations Command. The Brewton Municipal Airport serves as a training area for units from Whiting Field near Milton, Fla., during the day. Lambert said a gentlemen’s agreement was reached between himself and the commander Friday that would bring the training missions to a halt. The Brewton Municipal Airport is a non-controlled facility, meaning there is no air traffic control tower and no after-hours communications system. 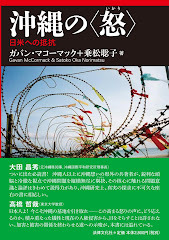 Below is an excerpt from the Asia-Pacific Journal: Japan Focus article (January 10, 2011) by Gavan McCormack, Norimatsu Satoko and Mark Selden "New Year 2011, Okinawa and the Future of East Asia," about the mass-scale lawsuit by over 20,000 residents in Okinawa against the Japanese government for the noise pollution of Kadena US Air Force Base. 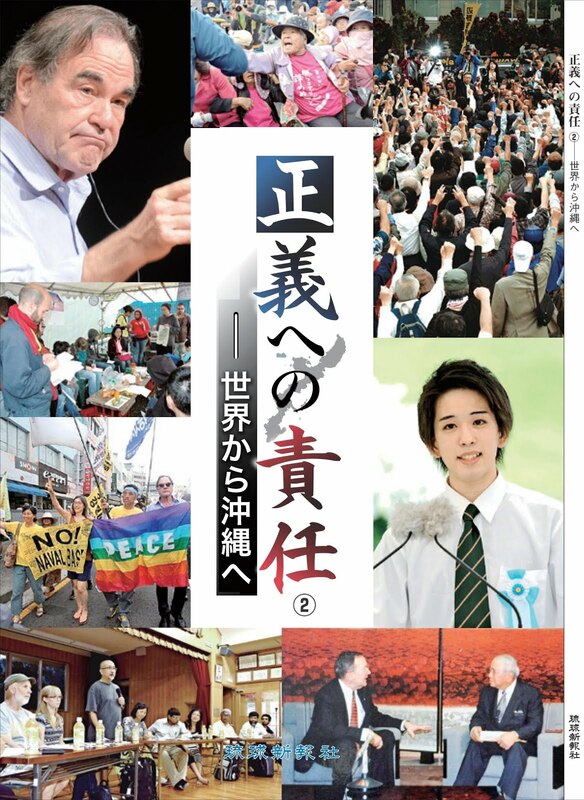 The New Year Day issue of Ryukyu Shimpo carried encouraging news for anti-base forces. As of December 31, 2010, an unprecedented number of over 20,000 plaintiffs have joined the collective lawsuit against the government over the noise pollution of Kadena US Air Force Base. This is the third such lawsuit, the first being in 1982 and the second in 2000. The second was called a “mammoth lawsuit,” with 5,500 plaintiffs, one-fourth the present number. The second lawsuit demanded that the government ban landing and take-off between 7 pm and 7 am, restrict aircraft noise, and pay compensation for the psychological damage inflicted by the noise. The third lawsuit is expected to make similar demands. The Kadena-based F-15s are among the aircraft that impose the greatest burden on surrounding neighborhoods. About one hundred aircraft are permanently stationed and operated there, and foreign-based planes also frequently visit. Residents complain of being woken up by 110-120 decibel sound blasts, the kind of noise one hears when a car revs its engine from one meter away. In the first two lawsuits, the high court turned down the plaintiff’s demand for a flight ban, saying it was a third-party (US military) operation that the Japanese government could not control. The plaintiffs of the second lawsuit have appealed to the Supreme Court. 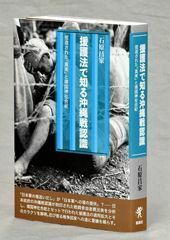 ﻿﻿﻿﻿Takara Tetsumi, a constitutional law specialist at the University of Ryukyus compares this large-scale suit to the movement for Okinawan reversion to Japan prior to 1972, both based on the constitutional principle of the right of peaceful existence. 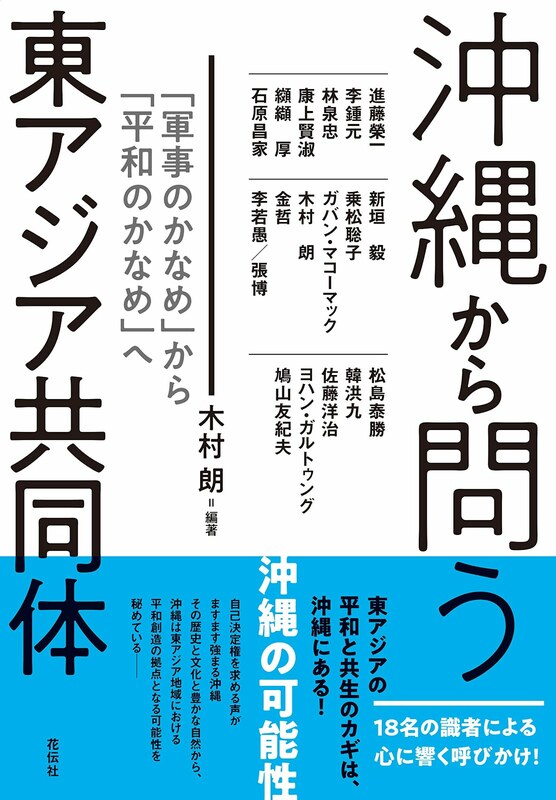 Ryukyu Shimpo calls the lawsuit “a modern-day popular uprising.”11 The suit, coming at a time when China-Japan tensions have led to heightened pressures for militarization, is the latest sign that Okinawa will continue at the center of efforts to define Japan’s future. ﻿ The latest Ryukyu Shimpo news on the issue reports the unusual number of foreign aircraft using Kadena Base, including twelve F-16s (see photo above), which will stay at Kadena until mid-February. As of January 21, there are 30 foreign aircraft stationed on Kadena. 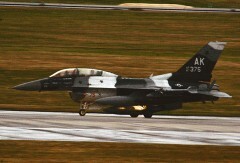 These F-16s are scheduled for joint drills with F-15s based on Kadena. Since January 18, noises more than 70 decibels have been recorded more than 150 times a day every day, including 180 times on January 20. The average number of noises of that level per day in the previous year was 113. The effects of noise pollution on the residents of Kadena include difficulty of hearing, low birth weights, restlessness, and lower immunity to diseases. 「思いやり予算」と呼んでいた予算だけを指して「ホスト・ネーション・サポート」と呼ぶのは全くの間違いである "Sympathy Budget" is only part of "Host Nation Support." Japan and the United States signed Friday a new pact on Tokyo maintaining the annual costs of hosting U.S. bases at the current level of 188.1 billion yen for a five-year period from fiscal 2011. The special measures agreement on Tokyo’s host nation support also includes a clause that enables Japan to shoulder some of the costs of relocating the F-15 fighter drills based in Okinawa to the U.S. territory of Guam. The accord replaces an existing one that will expire in March. The Japanese government is set to present the treaty for ratification to the ordinary session of the Diet, which will open next Monday. Foreign Minister Seiji Maehara said at a signing ceremony held at his ministry, ‘‘I am confident that the new pact will help reduce the base-hosting burden on the people in Okinawa.’’ U.S. Ambassador to Japan John Roos also took part in the event. Japan will cover some of the necessary costs to relocate F-15 drills from U.S. Kadena Air Base in Okinawa to Guam, so that about 20 fighters can take part in each training session in the island territory, with each session lasting up to 20 days, according to Japanese officials. ‘‘I would also like to declare that we will stop using the term ‘sympathy budget’ to describe the host-nation support, because this pact on our spending will be signed from the strategic viewpoints of the two countries,’’ Maehara said. ‘‘So I sincerely thank Mr. Maehara, the Japanese government for this important contribution, and we look forward to continuing to not only maintain but strengthen the most important alliance with one of the United States’ best friends in the entire world,’’ he said. Separately, Defense Minister Toshimi Kitazawa told reporters he is glad the two countries have signed the pact, as he believes it is significant in ensuring a stable U.S. military presence in Japan and strengthening the bilateral security alliance. He expressed hope that the Japanese parliament will ratify the pact at an early date. The accord was a compromise between Japan, which was seeking a drastic cut due to its strained fiscal conditions, and the United States, which wanted an increase, in view of China’s growing military might and continued tensions on the Korean Peninsula. Under the agreement, the number of Japanese working for the U.S. military, whose salaries are covered by the Japanese government, will be cut by 430 in phases from the current level of 23,055, and those serving in entertainment facilities such as golf courses and bars will be excluded, the officials said. The pact also says the proportion of utility costs at U.S. military facilities covered by the Japanese government will be gradually lowered from the present 76% to 72% over the five-year period. The maximum annual utility costs covered by Tokyo will be 24.9 billion yen. A Japanese official said an estimated 5.2 billion yen will be slashed through those measures and the amount will be spent to improve U.S. military facilities. Part of those expenditures will cover efforts to introduce environmentally friendly technology in U.S. military personnel residences under the ‘‘Green Alliance’’ initiative, he said. The official added cost for relocating the F-15 drills from Okinawa to Guam have not been fixed yet. Following the signing ceremony, Maehara requested Roos and U.S. military representatives in Japan that the United States make more efforts to prevent crimes and accidents involving U.S. military personnel and reduce noise pollution from military aircraft, according to the Foreign Ministry. Japan began providing host-nation support in fiscal 1978. The total amount peaked in fiscal 1999 at 275.6 billion yen. But it has since been cut sharply due to Tokyo’s fiscal woes and public criticism, particularly about spending Japanese taxpayers’ money on entertainment facilities for U.S. military personnel. ﻿ A year has passed since Inamine Susumu won the Nago mayoral election of January 24, 2010, on the platform that he would not allow a new US military base to be built either on land or on the sea. A year later, he is firm and committed on his principle of creating a thriving community not dependent on subsidies in exchange for hosting bases. 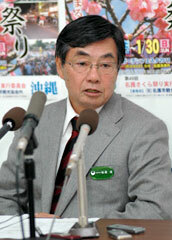 Here is a summary of Rykyu Shimpo's interview with Mayor Inamine, on January 20, 2011. - How would you reflect the past year? I won the election on the pledge that I would neither allow a new base on land nor on the sea. After the election, I repeatedly demanded the government to accept the result of this election. The Prime Minister and other ministers heard me, but they would not change their position, and reached the US-Japan joint statement on May 28 (one that confirm the two governments' intention to build a base in Henoko). Futenma issue is a big political challenge, and the situation now (under the DPJ government) is even worse than that of LDP/Komeito. In the last gubernatorial election, even Governor Nakaima, who had previously supported the Henoko base plan, changed his position and put forward an election agenda "to review the US-Japan agreement and to relocate MCAS Futenma to outside of Okinawa." This is the reality of Okinawa. - What is your thought on the government's response? The government's actions and words make me believe they are just trying to make US happy. 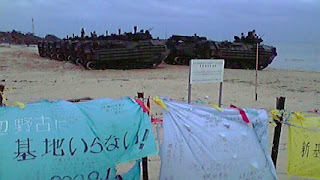 The Japanese government should demand US for reduction of Okinawa's base burden instead of trying to convince Okinawa. I have stated that I will resolve the Futenma issue, but the situation has not changed unfortunately. I will keep fighting, gathering support from across Okinawa to keep my promise with people of Nago. - The "Realignment Subsidy" (one given to base-hosting communities as base construction proceeds) was frozen by the government. The "carrot and stick" nature ("carrot" as subsidies, and "stick" as base-hosting burden) of the government's policy has come to surface. I want to seek alternatives, with the help of Nago city staff members. This is a big challenge for the new year. - Can you gain Nago citizens' support by "eonomic development plans" (subsidy programs)　? The mayoral election (a year ago) was the result of Nago citizens' assessment of the last ten years of the development policies. We won't make the same mistake again. People of Nago hardly benefited from the "carrot" (subsidy income). We will no longer be lured into accepting a new base by the idea of further subsidy. - How would you work with the Governor? Governer (Nakaima) pledged for the Futenma base to move outside of prefecture. I would like to work with him wherever I can. (Regarding Nakaima's plan to visit US) If the Governor wants us (other municipal leaders) to go with him, it may be more effective. We have to work out details. - What is your message to the government? The voice of Okinawans is clear. Since the Nago election last January, most of the subsequent elections were won by candidates who opposed a new base in Okinawa. It is an all-Okinawa "NO." The government must accept this. For more information on the current situation and the history of base opposition and political situations in Nago, see following articles. 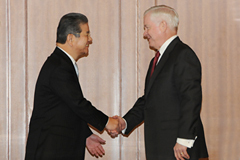 It has been reported that Japanese Defense Minister Kitazawa Yoshimi said on January 18 that during his meeting with US Secretary of Defense Robert Gates on January 13, Gates pressured him to decide whether the "Futenma replacement facility" airbase to be built in Henoko was going to be the V-shape or I-shape, as soon as possible. Nowhere in the MoD report of the bilateral meeting or in the text of Gates/Kitazawa joint press conference afterwards indicates Gates said such a thing. If he said something as important as this, why did Kitazawa or MoD not announce this earlier? Why did they not include this issue in the report of the meeting or in the joint press conference? It is impossible to believe. 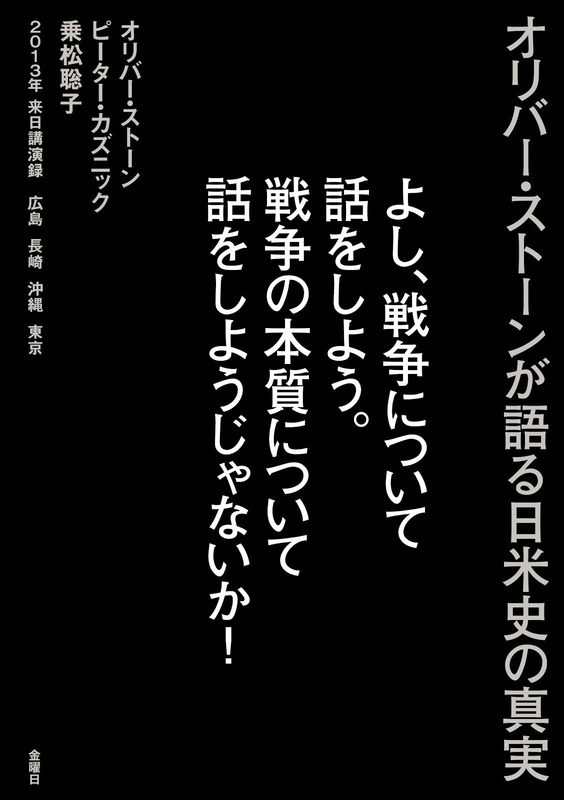 Here ﻿is Okinawan writer and amateur photographer Yoshio Shimoji's response to the recent meeting of Japanese Foreign Minister Maehara and US Secretary of State Clinton, held in Washington on January 6, 2011. See Yomiuri Newspaper's report of the meeting. Also see a related post in this blog on this meeting (in Japanese) HERE. At the meeting between Japanese Foreign Minister Seiji Maehara and U.S. Secretary of State Hillary Rodham Clinton in Washington, both agreed to accelerate and strengthen the bilateral alliance to pave the way for Prime Minister Naoto Kan's visit to the United States later this spring. During the talks, Clinton never failed to remind Maehara that the strengthening of the alliance also meant the relocation of Futenma's function to Henoko ("Japan, U.S. to start mapping new goals," The Japan Times: January 8). Why, in the world, does the U.S. persist in demanding Futenma's relocation to Henoko, stomping our appeal for its all-out removal from Okinawa? The U.S. Marine Corps Air Station Futenma sits on the private lands which were encroached upon with impunity by the U.S occupation army during and after World War II in blatant violation of the Hague Convention, Article 46 of which clearly states that "[f]amily honour and rights, the lives of persons, and private property, as well as religious convictions and practice, must be respected. Private property cannot be confiscated." The U.S. army thus requisitioned the land by violent means, completely disregarding the international convention. This cannot be allowed by any moral principles, either. Secretary Clinton must be well aware of this and think that, if Futenma's function were to be moved to Henoko in northern Okinawa, the U.S. would be exonerated from not only the violation of the Hague Convention but also an offense against humanity. When dirty money is transacted from one bank to another to conceal its illegal source, we call it "money laundering." Futenma's relocation to Henoko is exactly like money laundering or, should I say, "base laundering." 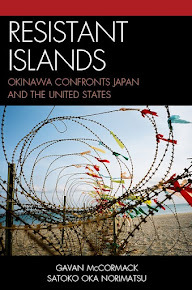 Washington's aim is thus to conceal the shameful history of the base and maintain the status quo of military function of all the bases on Okinawa, Futenma included, indefinitely, making Okinawa's northern area a new military complex complete with airfields, helipads for Osprays, combat training areas and port facilities. Remember also that expenses for this "realignment" project of the Pentagon are entirely borne by the cash-strapped Tokyo government, namely, us Japanese taxpayers. What stupidity! What absurdity! Kitazawa meets with Gates. Photo from the Ministry of Defense Website. Even though US Secretary of Defense said the US "will follow the lead of the Japanese government" twice in the joint press conference with Japanese Defense Minister Kitazawa on January 13 (see Deparment of Defense transcript of the joint press conference), most, if not all, of the Japanese media ignored it, and on the contrary, most of them reported Gates' talks with Kitazawa, Prime Minister Kan, and with Foreign Minister Maehara, as if Gates was adamant about the "package" deal: that the reduction of base burden for Okinawa and US marine transfer to Guam would occur on the condition of the construction of a replacement base in Henoko. But nowhere in the official records of what Gates said indicate that he said such things. 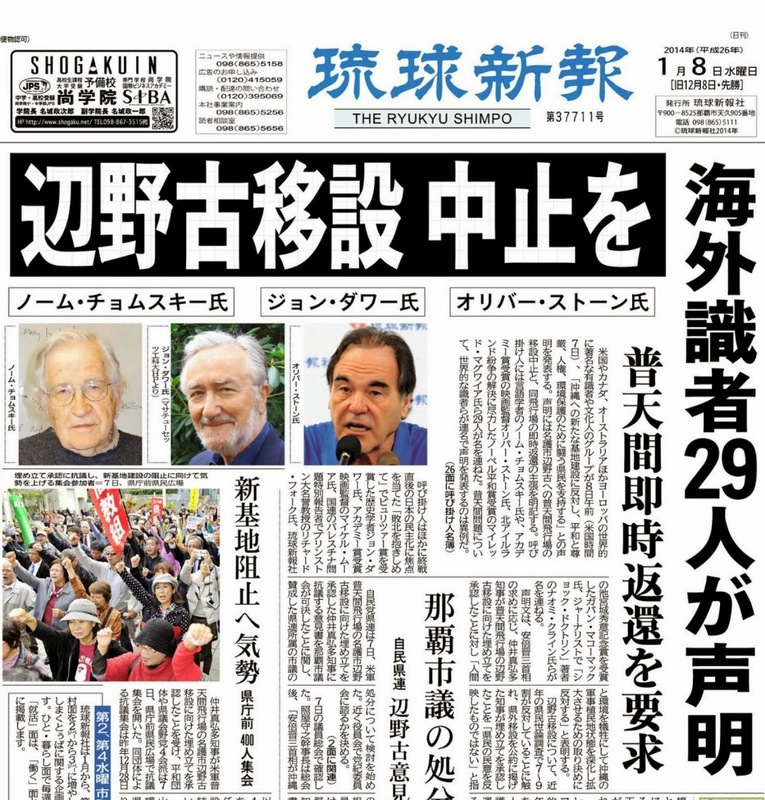 On the other hand, New York Times reported Gates-Kitazawa conference with headline "US will Defer to Japan on Moving Okinawa Base," stressing on the "conciliatory tone" of Gates. 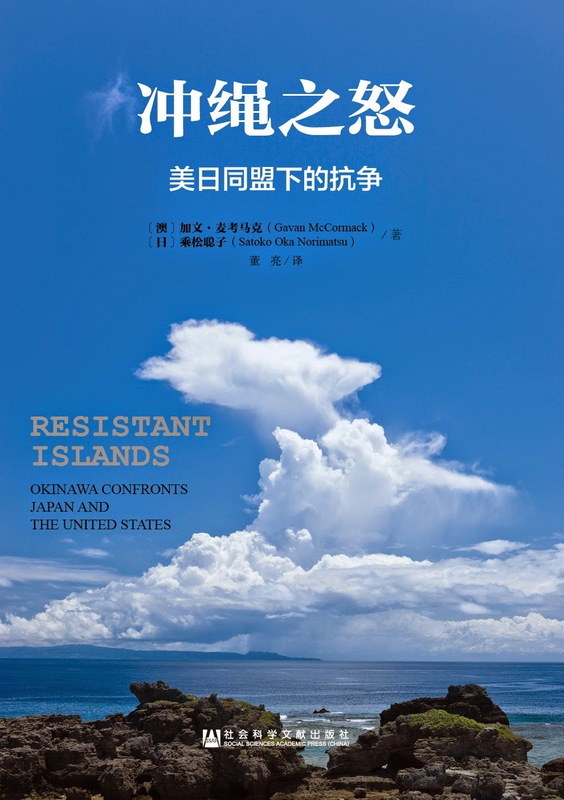 This is another example, among many, of how the Japanese government and media tend to exaggerate, or even make up the "US pressure" for building an additional US military base in Okinawa, to reinforce the image in the minds of people in Japan that it is necessary to build a new base in Okinawa in order to sustain the Japan-US alliance. It is their way to use the "US pressure" to justify the industry's profit from military-buildup, and to continue the discriminatory policy to impose most of the military base burden on Okinawans, as sacrifice for sustaining Anpo (Japan-US Security Treaty). MODERATOR: We shall now start the joint press conference. Minister Kitazawa and Secretary Gates will make their respective opening statements. First Minister Kitazawa will make a statement. MIN. KITAZAWA: Good day to all of you. Thank you for coming. Today I had the pleasure of welcoming Secretary Gates to the Defense Ministry and we just had the Japan-U.S. defense ministers’ meeting. This is the first time that I meet with Secretary Gates since at the ADMM [ASEAN Defense Ministers' Meeting] -plus meeting in Hanoi last October. And this is the fifth meeting that I’ve had with Secretary Gates. And it is extremely meaningful that we are able to have such frequent meetings in view of the difficult regional situation as well as security challenges that we face in this region. And so I heartily welcome Secretary Gates to Japan. Having said that, cabinet shuffle it’s reported is pretty soon with regard to Japanese political situation, so I don’t know if I will meet Secretary Gates in the days ahead. Now, with regard to the defense ministers’ meeting today, we had a very frank exchange of views on the following topics: first with regard to the response to the regional situation, I explained to Secretary Gates my meeting with the ROK [Republic of Korea] defense minister on the 10th of January and we confirmed the importance of Japan-U.S.-ROK cooperation. Secretary Gates explained to me the results of his visit to China until yesterday and exchanged views. On the deepening of Japan-U.S. alliance we agreed that we shall accelerate consultations between Japan and the United States on the deepening of Japan-U.S. alliance in the security area and so that we’ll be able to advance a vision for the Japan-U.S. alliance in the 21st century at the time the prime minister visits the United States. On the Futenma relocation issue, we confirmed that we shall implement the Japan-U.S. agreement of May last year. With regard to the relocation of aviation training, we also confirmed that we will engage in – or we confirmed the currently ongoing work in order to add Guam – for relocation after expanding the training and agreed to step up the efforts to finalize. And also explained the Japanese government efforts with regard to gaining understanding of Okinawa and asked for Secretary Gates’s cooperation to reduce impact and also discussed HNS [host nation support] ballistic missile as well. And let me conclude by saying that Japan will build on the results of the exchange of views in order to further strengthen Japan-U.S. alliance. GEOFF MORRELL [Pentagon Press Secretary]: Mr. Secretary? SEC. GATES: I’d like to thank Minister Kitazawa and the people of Japan for, as usual, their warm hospitality. This is my fourth visit to Tokyo since becoming U.S. defense secretary and the latest of many trips I’ve taken to Japan in both a public and private capacity since my first visit here more than 30 years ago. Each time it is a pleasure to be with old allies and meet new friends. This morning I had a very productive series of meetings with Prime Minister Kan, Foreign Minister Maehara and Minister Kitazawa. We had a full agenda and much to discuss including the appropriate response to North Korea’s continued belligerence and nuclear weapons program, the challenges associated with China’s growing military strength, our collaboration on ballistic missile defense where the U.S. and Japan are jointly developing a new advanced interceptor, opportunities to cooperate in areas such as counter-piracy, peacekeeping, disaster response, humanitarian assistance and other important multinational efforts, to include Afghanistan, where Japan is making a substantial financial contribution. Also, the recently issued Japanese “Defense Program Guidelines,” a forward-thinking document that reaffirms the importance of our alliance, including the U.S. military presence to Japan’s defense. And finally, the alliance force posture generally, to include our efforts to implement a realignment roadmap. On the last note, we helped move forward with the relocation of U.S. forces in Okinawa in ways that are more appropriate to our strategic posture while reducing the impact on the communities nearby. In the past year, I’m also pleased, we’ve come to an agreement on host-nation support that will enable the United States to continue deploying our most advanced capabilities in Japan’s defense. In the months ahead we look forward to Prime Minister Kan’s visit to Washington, when our heads of government will unveil a new alliance vision statement. It has been about five years since the last vision statement and the world and circumstances in Northeast Asia have evolved a good deal since then, so it is appropriate to update our alliance at this time. 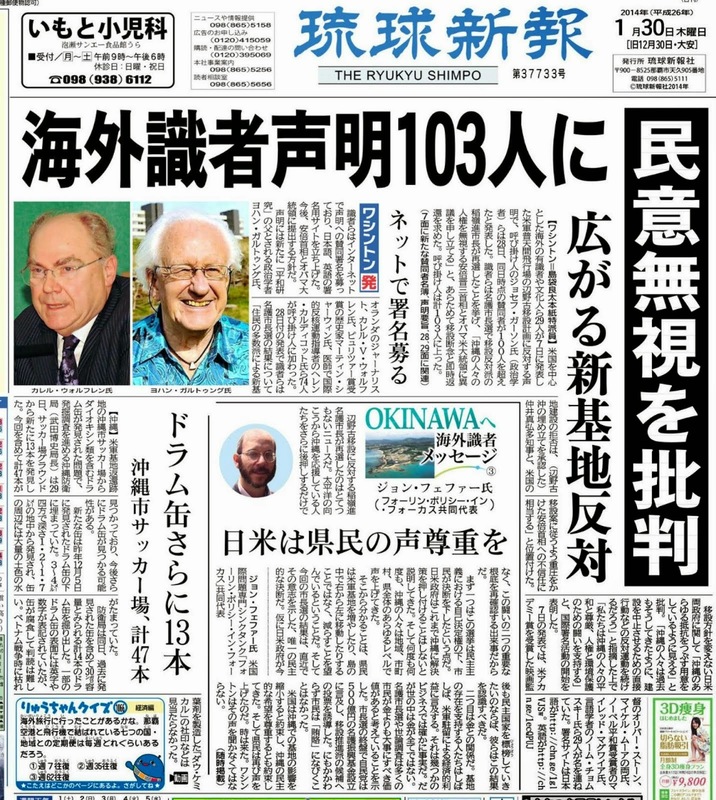 As I will state in my speech at Keio University tomorrow, while issues associated with Okinawa and Futenma have tended to dominate the headlines this past year, the U.S.-Japan defense alliance is broader, deeper and indeed richer than any single issue. In this, the 51st year of the U.S.-Japan alliance, it is important to remember that ours is an enduring and equal partnership based on interests and values that unite our two peoples. MODERATOR: I’d like to move on to questions from the floor. And please move to the close microphone in front. First, questions from the Japanese press. Q: Representing the MOD press club, I’d like to ask a question for both Minister Kitazawa and Secretary Gates. Minister Kitazawa, you visited the ROK recently, and Secretary Gates, you visited China. And right after your visits, you had this meeting. And I wonder what sort of exchange of views you had with regard the Chinese military – (inaudible) – on North Korea situation or the recent East Asian situation. You have talked about strengthening the Japan-U.S. alliance and also strengthening Japan-U.S.-ROK cooperation. In view of the current situation in the region, what sort of issues do you see in the situation and what’s the response that you’ve discussed? MIN. KITAZAWA: Let me respond to that question. As you pointed out, I think it’s the perfect timing. I just visit ROK. Secretary Gates just visited China. And then we had this meeting – bilateral meeting here in Tokyo. And I first explained the interlocution I had with the Korean counterpart and that there was this wanton act on the part of DPRK [Democratic People's Republic of Korea], two incidents last year and I engaged in full exchange of views with the ROK and confirmed that we fully support ROK’s position on this. For the stability of the Korean Peninsula, Japan, South Korea and Japan-U.S. and South Korea defense cooperation needs to be strapped up. This would be very important and that’s a point we agreed. With regard to China, we had an explanation from Secretary Gates in a very frank and candid manner, a very easy to understand manner. And with regard to China, we agree that we need to encourage – the entire international community needs to encourage China to behave in a cooperative manner with the international community as a responsible power. With regard to the remarks I made the day before yesterday, with regard to the amendment of the law regarding the situations around Japan, it is not that we are engaged in concrete discussions of concrete content, but as minister responsible for the defense of a nation, we need to raise the interest in matters of this sort. And as the one responsible for Japan’s defense, responsible for security, that is a point that is indispensable. That is what I stated in my lecture the day before yesterday. As defense minister in charge of defense of Japan, I explained my recognition. I hope that you’ll understand it that way. SEC. GATES: Let me just say a word in addition. Minister Kitazawa has just come back from Korea. I will go there tomorrow. If there is a common theme in my visits, it is the common interest of the United States, Japan, the Republic of Korea and China for there to be stability and peace on the Korean Peninsula. This requires that the North cease its belligerent behavior and its provocations that have killed innocent victims, both military and civilian, in Korea. We are supportive of negotiations and engagement between the North and South, but there must be concrete evidence on the part of the North that they are finally serious about these negotiations. But all four of these countries have a common interest in a peaceful outcome and stability on the Peninsula in each place we have talked about how to pursue that. With respect to China, I talked to the minister as well as the prime minister and foreign minister about the constructive talks that I had in China and that I believe there is the opportunity for further cooperation between the Chinese and U.S. militaries going forward in the context of a much larger positive relationship between the United States and China. At the same time, I explained that the United States will sustain its military presence in Northeast Asia and look to enhance it in Southeast Asia and will firmly defend the principle of freedom of navigation. MR. MORRELL: A question from our traveling press now. Dan Deluce of Agence France-Presse. Q: Defense Minister Kitazawa, your country has moved towards more military cooperation with the United States and South Korea. But given the Japanese constitution, what can your government really do in the event of a North Korean attack? And Defense Secretary Gates, you have described a sea change in public attitudes in South Korea due to North Korean provocations. In the event of another incident, is the United States opposed to South Korea responding with air power or other escalatory steps? MIN. KITAZAWA: Let me lead off. We have in Japan Article Nine of the constitution and we have to only maintain exclusively defensive forces. So we really have built up only our defense capabilities, as I’m sure you’ll understand. Having said that, there are also forces in our neighborhood who might resort to any action. 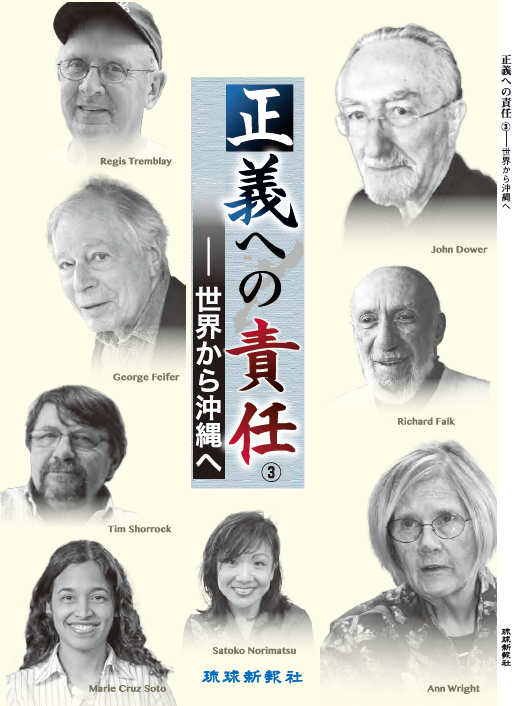 And the Japan-U.S. alliance, the Japan Security Treaty has had a history of more than half a century. 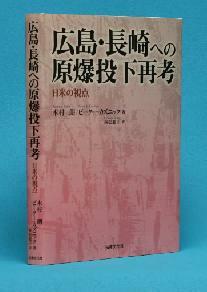 This, I believe, is extremely important for the defense of Japan in view of the situation around Japan. And so this landmark here I think it is urgently necessary to further advance our security relationship. Now, between Japan and ROK we have not really reached a level of military cooperation the day before yesterday. It is not that we agreed on that sort of thing. As we advance international cooperation, what we discussed is that it is very important to have an ACSA [Acquisition and Cross-Servicing Agreement] or a cross-servicing agreement and therefore following Japan-U.S. and Japan-Australia ACSA, I suggested that we also have an ACSA with ROK, a friendly country for Japan. And we came to the understanding on the part of ROK on this point. SEC. GATES: With respect to the question that you asked me, it’s a longstanding principle that every country has the right to protect itself and defend itself against an unprovoked attack. I think the key on the Korean Peninsula, as I discussed in China and discussed here in Japan, is to prevent another provocation from happening. We have seen this cycle over and over again and I think the objective that we all have in common is how do we prevent another provocation from taking place? 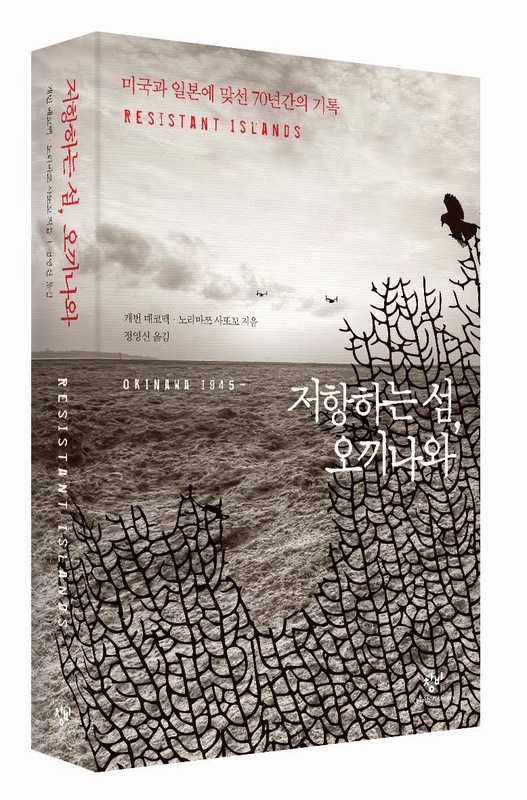 How do we move the process forward on the peninsula in a way that shows that the North Koreans are serious about engagement, serious about negotiation, and that this is not just a repeat of what we have seen so often in a past after a provocation of trying to reset the clock, if you will, back to where it was before? So I think we need, as I’ve said, a concrete manifestation of North Korean seriousness, but I think the central objective of all involved parties should be to prevent another provocation from taking place in the first place. MODERATOR: Second question from the Japanese press, please. Q: I’m – (inaudible) – from Fuji TV. A question about Futenma relocation. First, Minister Kitazawa. A question about measures to reduce impact on Okinawa. Maybe you’ll confirm the work to relocate aviation to Guam. I wonder what the conclusion was with regard to the relocation of part of training of F-15 fighters at Kadena to Guam. And I’d like to ask what timeline is for implementation of specific measures. And you mentioned you discussed BMD [ballistic missile defense]. What sort of discussion did you have? A question for Secretary Gates, yesterday, Mr. Secretary, you suggested that would delink the common strategic objectives and Futenma relocation. 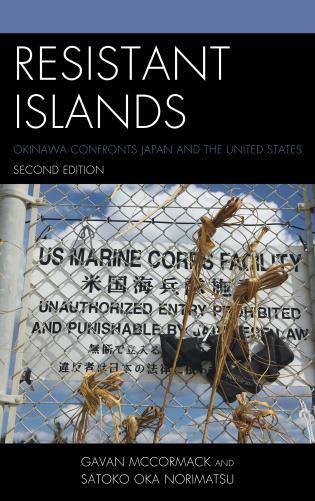 I wonder how – where you place the Futenma relocation issue in the Japan-U.S. relationship. MIN. KITAZAWA: Let me lead off on the Futenma relocation issue. The reduction of burdens on Okinawa, on that question we are considering all sorts of options and negotiating with the U.S. You referred to the Kadena based F-15 fighter aircraft and relocating part of that training to Guam. We are engaged in discussions with the United States on this matter and we communicated to the U.S. side Japan’s intent to further advance such discussions. On BMD, on missile defense, I explained the Japanese views on this and that is with regard to transition to production and deployment, we’ll consider that and take necessary measures that the mid-term defense program specifically refers to that point. And with regard to third-party sales, I also stated that it’s necessary to consider the introduction of mechanisms for consultations regarding the necessity for prior consent. SEC. GATES: Excuse me. I heard the – your reference to and statement about my delinking the strategic – the common strategic objectives, but I didn’t get your question. Could you repeat that, please? Q: Yesterday, I think you mentioned that you will delink the common strategic objectives that you’re working on with the Japanese side and the issue of Guam, and I wonder where you place the Futenma relocation issue in this context. SEC. GATES: Well, first of all, as I mentioned in my opening statement, we read a lot about Okinawa and Futenma relocation, but the alliance is broader than this. And I think what I said in China was that I felt that after – since the last common strategic objectives had been put together in – agreed in 2005, that clearly events in the meantime indicated the importance and the value of updating that document. And I think that is independent of the Futenma issue. By the same token, the realignment roadmap is important. We do understand that it is politically a complex matter in Japan and we intend to follow the lead of the Japanese government in working with the people of Okinawa to take their interests and their concerns into account, and that obviously needs to happen. By the same token, I would just underscore the benefits to the people of Okinawa of the realignment roadmap. Thousands and thousands of United States Marines and their dependents will depart the island. Significant land and facilities will return to the people of Okinawa. The U.S. presence will be less visible on the island. So there are very real benefits to people of Okinawa in this realignment roadmap. And as I say, we will work with the Japanese government and follow their lead as we work our way through this to make progress. MR. MORRELL: Final question from Satoshi Ogawa traveling press corps from Yomiuri Shimbun. Q: Secretary, with regard to the European missile defense system, there are plans to implement the U.S.-Japan jointly developed interceptor SM-3 Block 2A. Besides, the U.S. hoped some Europe countries would buy this interceptor, but Japan’s prior consent is needed to export the missile to Europe. So my question is, did you ask for the Japan’s consent to Mr. Kitazawa? And next question is, you mentioned you agreed to accelerate defense posture discussion on the contingency. So what kind of cooperation do you look to from Japan? 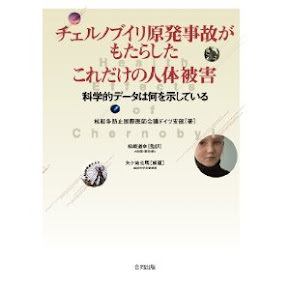 And Mr. Kitazawa, how would you respond to the U.S. request on the contingency cooperation? Thank you. SEC. GATES: First of all, I – we have this joint development program on a very sophisticated interceptor. It makes economic sense to make it available to others. And we will be working toward that end with the Japanese government. Because it’s a joint development program, this is a matter that needs to be agreed between us and we will continue working on that, but I think there is – I think it’s fair to say that the minister acknowledged the economic benefit of being able to make it available, but we understand that there are certain processes that have to be gone through here in Japan before that is possible. All I’ll say on the second issue is that we’ve agreed that as part of the deepening of our alliance that we need to do more planning together and not just for the defense of Japan, but for regional contingencies. We need the planning to be realistic and effective and we will pursue it with our counterparts in the ministry of defense. MIN. KITAZAWA: On missile defense, let me respond to the question. As you’re aware, the previous administration with regard to transition to production and deployment, that will be treated as an exception to the three principles on arms exports. The question is how to transfer that – the system to third parties. And on this matter, as I mentioned earlier, before the end of the year as a target, we will strive to come up with a conclusion. That’s what I told the secretary. MODERATOR: We’ve already exceeded the scheduled closing time, so with this, we shall conclude the joint press conference. Please remain seated until the two ministers have left the hall. Thank you very much for your kind cooperation. TOKYO — Striking a conciliatory tone on an issue that has divided Japan and the United States, Defense Secretary Robert M. Gates said on Thursday that the Obama administration would follow Tokyo’s lead in working to relocate an American air base on Okinawa. During talks with Japanese leaders in Tokyo, Mr. Gates said he also discussed a sophisticated new antimissile system that the United States is jointly developing with the Japanese, and the two nations’ response to North Korea’s recent military provocations against the South. 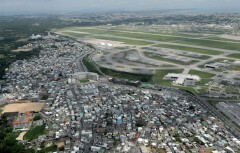 However, a top item on the agenda was the relocation of the United States Marine Corps Air Station Futenma, an emotional issue here that drove an uncharacteristic wedge between the two allies last year when the prime minister at the time, Yukio Hatoyama, wavered on whether to keep the base on Okinawa. While the two nations finally agreed in May to relocate the noisy helicopter base to a less populated part of Okinawa by 2014, local resistance has made that time frame look increasingly unrealistic. On Thursday, Mr. Gates said the administration did not want the Futenma issue to overshadow the overall security alliance with Japan, which last year had its 50th anniversary. He also signaled that the United States was willing to be flexible in allowing Tokyo to resolve the domestic political resistance to the relocation plan. The softer tone is a departure from Mr. Gates’s visit to Tokyo in October 2009, when he strongly pushed the fledgling government of Mr. Hatoyama to honor an earlier agreement to relocate the base on Okinawa. Those pressure tactics backfired, creating resentment in the new government that the United States was trying to bully it. Mr. Hatoyama eventually stepped down amid criticism for mishandling the alliance with the United States. His successor, Prime Minister Naoto Kan, has worked to strengthen security ties with Tokyo’s traditional protector. On Thursday, Mr. Gates and Mr. Kitazawa also discussed one of the two nations’ largest joint projects, the development of an advanced new missile system that will be fired from ships to intercept larger ballistic missiles while in midflight. Washington wants to be able to sell the sophisticated system, known as the SM-3, to other nations, possibly including South Korea. However, that would require Japan to rewrite its tight restrictions on weapons exports, which have been a pillar of the nation’s post-World War II pacifism. While Mr. Gates said Washington hoped to defray development costs by exporting the system, he was aware that this was a sensitive matter in Japan. Mr. Kan has called for a public debate on revising the restrictions, which many Japanese see as necessary to advance closer security cooperation with the United States in responding to China and North Korea. Mr. Gates, whose next stop is South Korea, said he had asked Japan for help in pressuring the North not to strike South Korea again. He has said he is worried that South Korea might feel forced to make a strong retaliation after already suffering North Korean attacks last year on an island and a warship. Pyongyang has denied involvement in the latter.